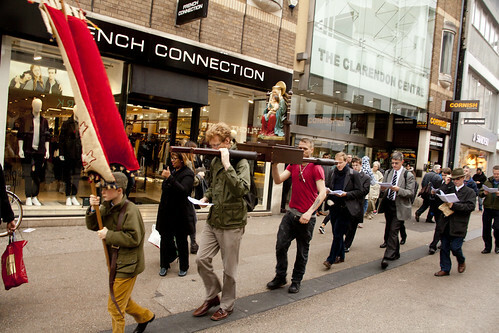 These pilgrimages are an occasion when we take the Faith out into the streets of Oxford. 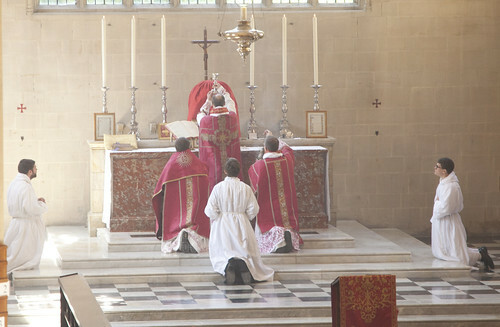 Last year we went to the site of the 1610 martyrdom of Bl George Nichols, a priest, in the Oxford Castle complex. This year we'll be going to where the town gallows used to stand, outside the portion of the city walls which are still preserved in New College gardens. 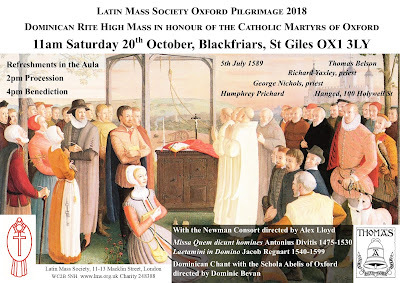 The junction of Holywell Street, Manor Road, and Longwall Street was called 'Hangman's Corner' within living memory, and four beatified martyrs made their heavenly nativity there in 1589. 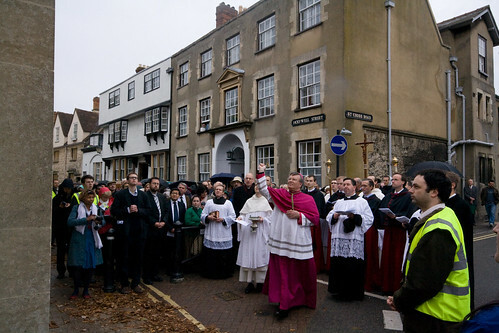 In 2008, the pilgrimage included the blessing of a newly installed plaque marking the site of these martyrdoms, by Bishop Kenny, an auxiliary bishop of the Archdiocese of Birmingham.